With so much clutter in today’s market, brands strive to deliver cut-through creative and engaging ads. Especially in the automotive market where competition is high and the market is saturated, it is essential to provide a unique and respectful experience to the right audiences. 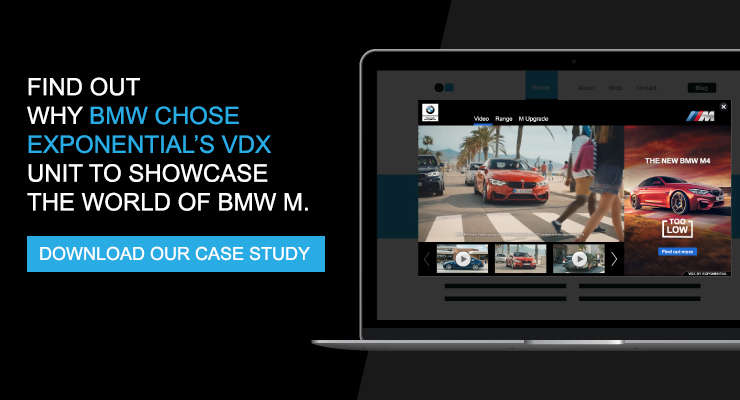 We recently developed a case study highlighting why BMW New Zealand chose Exponential’s video-driven experiences (VDX) to showcase their range of BMW M Performance vehicles and suite of accessories, and drive consumer engagement. In addition, we review the results that the campaign achieved, which were well above industry benchmarks!